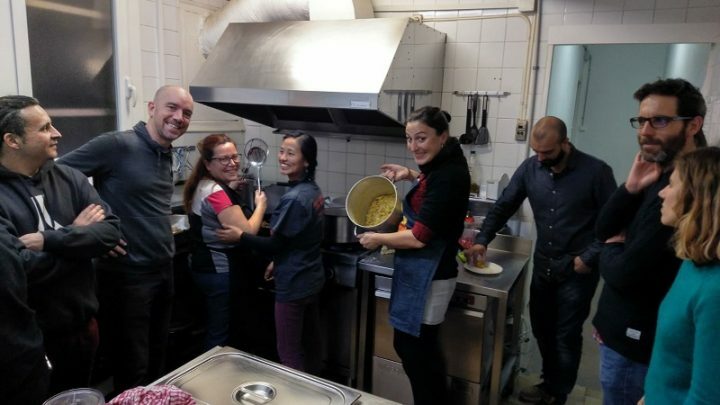 Last weekend Barcelona experienced several activities of Nepalese culture. 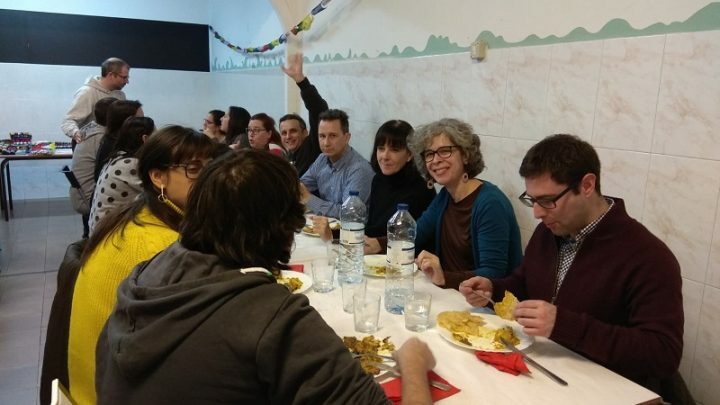 Saturday, Amics del Nepal organized a dinner at the Roig-Tesalia school on Marina Street. 32 people cooked and ate Puri (Nepalese bread), vegetables, chicken, tea and banana lassi, all in a nepalese style led by our Nepalese cook and member of the board of Amics del Nepal, Manisha Gurung. Thanks to the donations and the Nepalese products shop, a total of 428.52€ was collected for Amics del Nepal projects! Thank you very much to all of you who came! 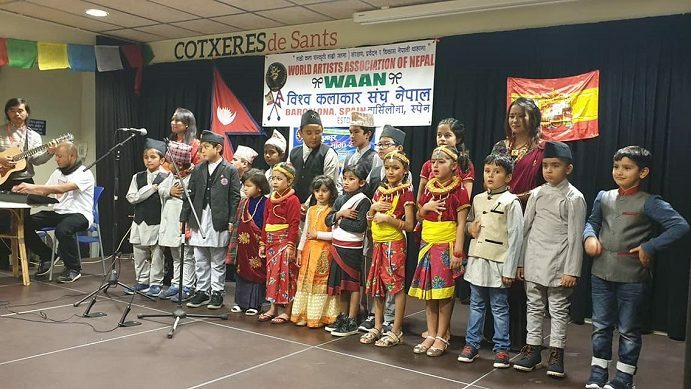 Meanwhile a cultural program at the Cotxeres de Sants, where music was lacking for Nepali musicians and also Mònica Sans, the coordinator of the AWASUKA project, was organized by a group of Nepalese living in Barcelona (WAAN). Everyone had a great time! On Sunday there was still a very special event. 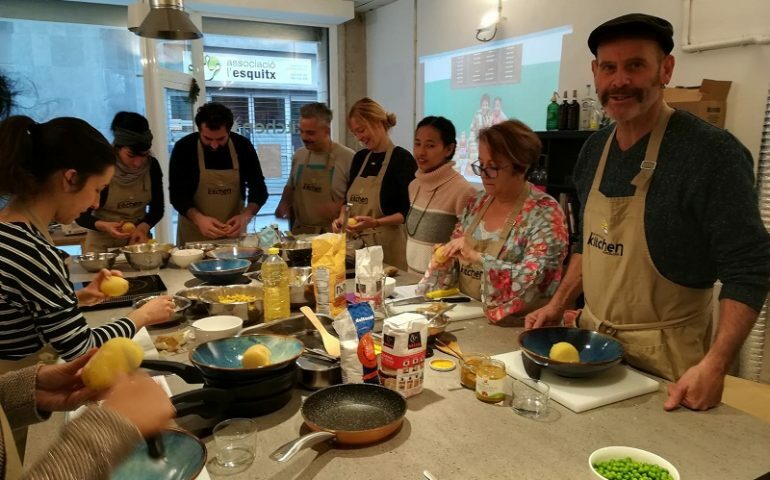 Slow Food Barcelona (https://slowfoodkitchenbcn.com/) organized a Nepali kitchen workshop. Manisha Gurung directed this workshop from 12 a.m. to 3 p.m. where she taught how to cook pakhodas, momos, samosas and alu chop. A workshop with 15 people where we collected 180€ for the projects of Amics del Nepal. Thank you Slow Food Barcelona! Do not miss the photos of the three events! 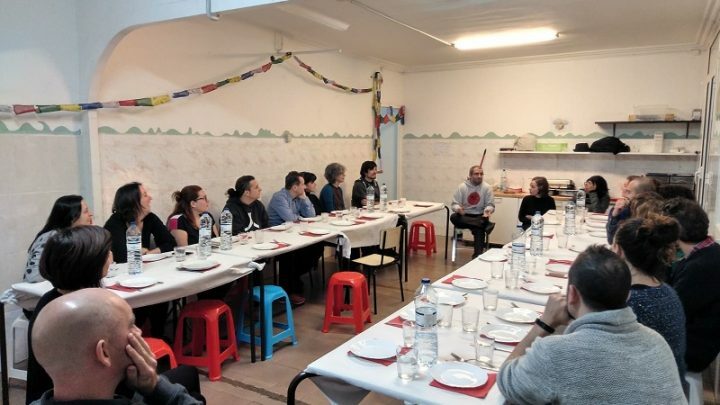 The next solidarity dinner will be directed by Tonyo next February again in Benicarló with our Friends of Penya Setrill!